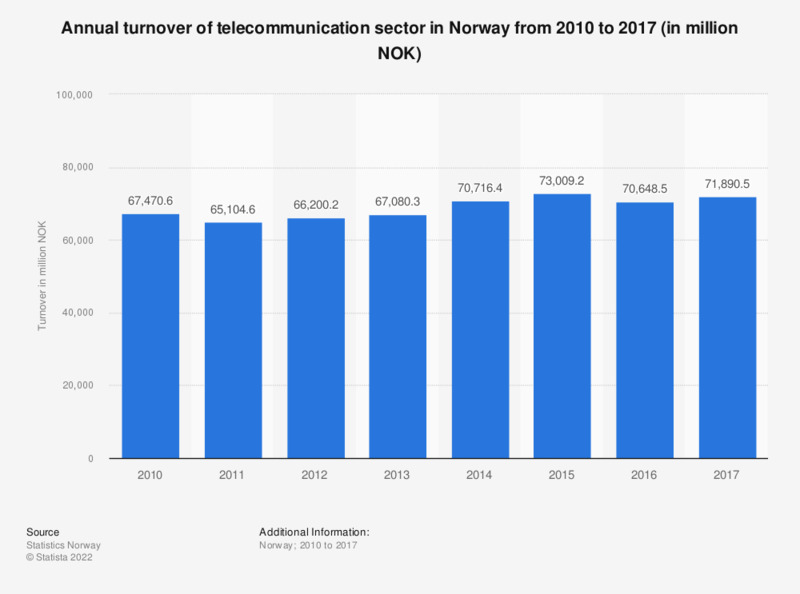 This statistic shows the annual turnover of telecommunication companies in Norway from 2010 to 2015. During the time under consideration, the turnover increased in the industry from over 67 billion Norwegian kroner in 2010 reaching 73 billion Norwegian kroner in 2015. The lowest value during the considered period was reached in 2011, amounting to 65 billion Norwegian kroner. Statistics on "Telecommunications industry in Norway "